Home, Auto & Trucking Insurance - Tighes' Insurance Agency Inc. Since 1933, Tighes' Insurance Agency has been providing quality insurance solutions to our community in Lakewood, OH and the surrounding areas. We focus on providing a personal touch and attention and to detail when it comes to customer service. We make sure to create an experience that is difficult to find in today’s market so our clients can be sure they are doing whats best for them. At Tighes' Insurance Agency, we’ll work with you to ensure that you and those you care about most are protected. Tighes' Insurance Agency is a full service, independent insurance agency. We are able to handle all of your insurance needs! Generalized insurance is never the right choice. Someone who lives and works in the same community as you helps provide additional insight to customizing your policy, we know these things because we are right down the street and have been for decades. At Tighes' Insurance Agency, we take the time to get to know you to find exposures; we'll also search through many carriers to find the right home and auto insurance policy that blends price and coverage. When you need us we are right around the corner, no waiting on hold with big business. Our agency specializes in insuring tractor/trailer owner operators who have their own authority or are leased to a certificated motor carrier. We write primary or non-trucking liability for flatbeds, grain, feed, tank, reefer, dry van, livestock, pneumatic, sand and gravel. Our lead company is Great West Casualty Co. who we think is the finest trucking insurance company operating in the country today. Their claims service is 24 hours, seven days a week and 85% of their customers operate 10 or less units. 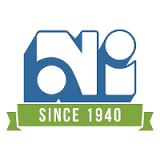 We have been providing quality and affordable truck insurance since 1933. Our staff is excellent and knows what it takes to properly service a trucking account. Owning a business is never easy and requires constant attention and time. Maintaining success leaves us with minimal time to delve through all the details we need to. At Tighes' Insurance Agency, we take the guess work out of your business insurance policy. We will learn about your day to day operations and goals to create the right policy for your business. As a business we know what risks you are up against and we know your community, let us help you find the right policy. Trucks are the working vehicles of the automotive industry, designed to provide all the power needed to get things from one place to another. Having the right business insurance policy means protecting your assets as well as the time and effort you've invested in building a company. Some industries need more protection. From boats to jet-skis and everything in between, we know how to keep your preferred watercraft protected.